Who will be holding up Lydia’s Cup this year? Last year’s Lydia Cup women’s champs Pi Beta Phi. Photo via Campus Recreation. The academic year is coming to a close, which means the end of intramural sports season is also near. Soon, it will be time for the second-ever Lydia’s Cup champion to be crowned in the men’s and women’s divisions. Scott Wood, the second year assistant director of campus recreation, has undertaken the responsibility of organizing intramurals for all students. According to him, the intramural program has improved in the last two years. 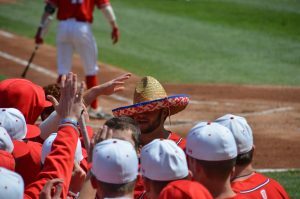 “We still have some little improvements yet to go, but teams seem like they’re enjoying playing all the different sports that we’re offering, and they’re having fun,” Wood said. During Wood’s tenure, the concept of Lydia’s Cup emerged. 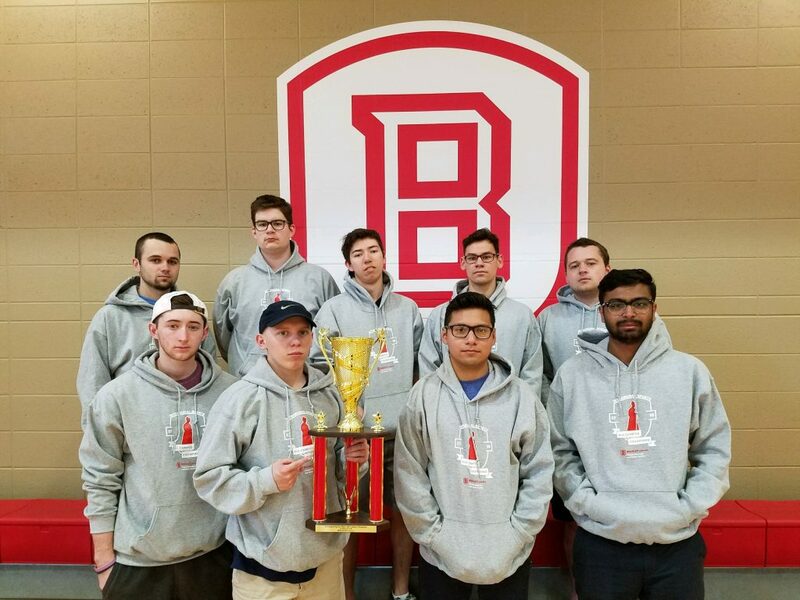 The cup is the year-long competition for the all-sports intramural champions at Bradley. 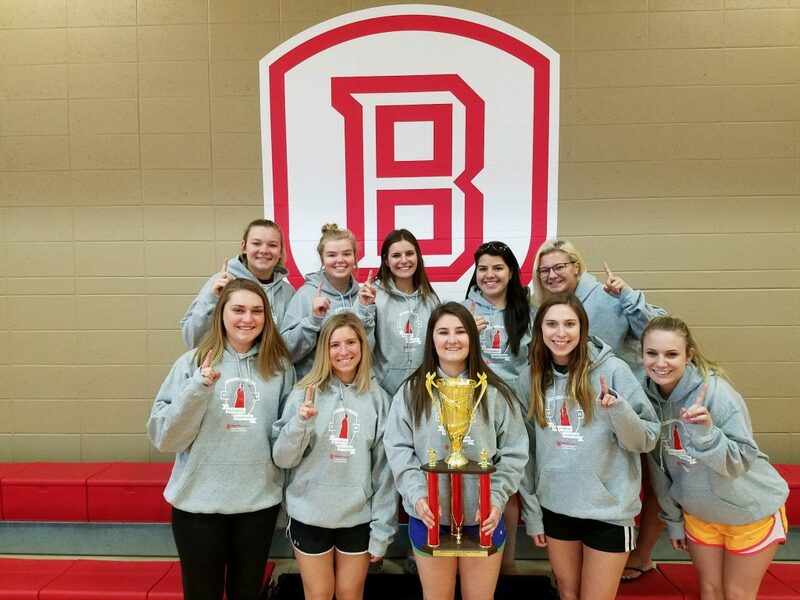 In order to capture Lydia’s Cup, a team must continuously use the same name and compete in multiple intramural sports. In each league, tournament and activity that teams participate in, they recieve all-campus intramural sports points. More points are given for the higher level of play and placing. Currently, Delta Tau Delta and Chi Omega are leading the men’s and women’s divisions with 505 and 220 points, respectively. Fraternity and sorority teams regularly compete in Lydia’s Cup with so many members available to play in sporting events. Delts’ sports chair, freshman Derek Warnstedt, noted how surprised his fraternity was when they found out they were in first place last semester and how they wanted to pursue it to the end. 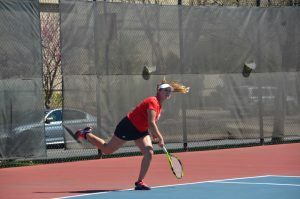 Chi Omega sports chair, sophomore Natalia Skop, believed while being competative at athletics is fun, it’s more about the gained bonding experience. “It’s been a ton of fun spending time together and encouraging each other to do better,” Skop said. “This experience was all about determination and bonding, and I had a great time being a part of it. I’m grateful for everyone’s participation, because this wasn’t just about being athletic but about having fun together. Delta Upsilon is in second place for the men at 467 points, while Pi Beta Phi is in second place for the women at 190. With the establishment of an overall championship, Wood has focused on other problems regarding intramurals. For example, in the last two years, forfeits have become less of a problem – almost to the point of being a rarity. Last year’s Lydia Cup men’s champs Delta Upsilon. Photo via Campus Recreation. A forfeit occurs when teams don’t show up without notice, field ineligible players or commit unsportsmanlike conduct. A team can be fined, banned or receive a reduction in points as punishment for the aforementioned forfeits. Defaults, however, still remain difficult to avoid. At Bradley, a default is when a team notifies the Markin Center Control Desk of its upcoming absence up to an hour before its scheduled game time versus an opponent. Major sports like flag football, basketball, softball and 5v5 indoor soccer tend to be full but smaller sports are prone to defaults. Wood said during the basketball season, there were only five defaults in 105 games and no forfeits. But during floor hockey and 4s volleyball, five defaults occurred in the first week. Another improved aspect is refereeing. Officials will now become all-sport refs that have an understanding of every sport played at Bradley. While this may involve more training, it will further the quality of refs, according to Wood. Along with those changes comes new and returning sports, including an arena football league instead of just a tournament that is usally hosted. Entry fees will increase in Fall 2019 for Level 1A sports from $25 to $35 in order to cover the costs for the rising minimum wage and internal services. If you’re interested in creating a team and playing in any of the remaining intramural sports, go to IMLeagues.com/Bradley or contact campus recreation via Twitter @BU_CampusRec.